An 800-pound tiger shark was caught this weekend by a man from San Antonio fishing just a few miles off the coast of Port Aransas. He never expected to hook the 12-foot tiger shark, and the fight to reel him in wasn’t easy. Ryan Spring had gone fishing with his father and his friends out in Port Aransas and he was hoping to catch a hammer head shark. However, the 12 foot 7 inch tiger shark took the bait. The struggle to bring him in began Saturday night at around 8:30. 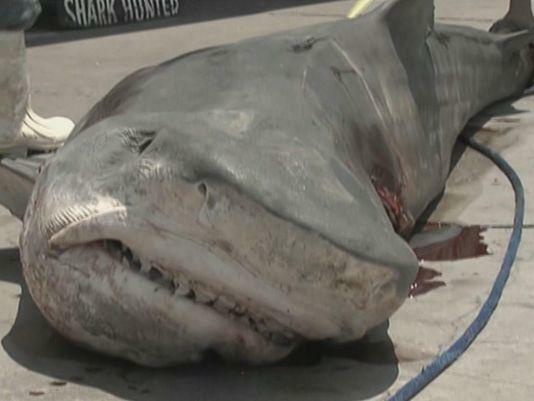 The 809-pound shark was so heavy he was even moving their boat around in the water. After a long exhausting night they finally reeled him in early Sunday morning. It took him nearly eight hours.